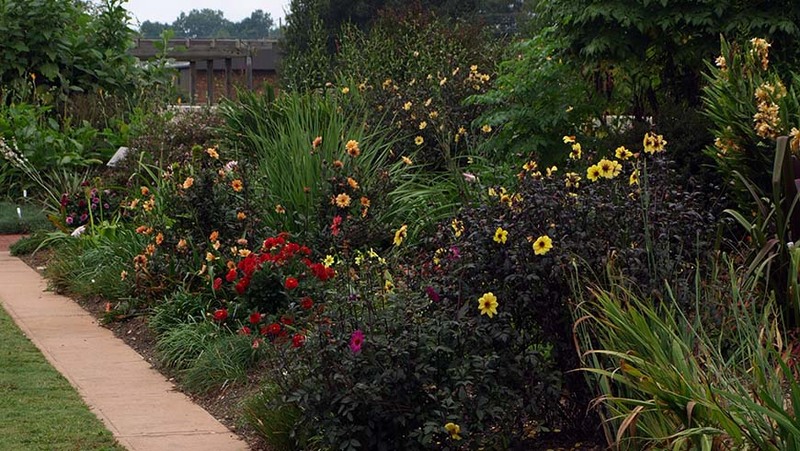 Many exquisite gardens set the stage for displaying new plant introductions at the JC Raulston Arboretum. 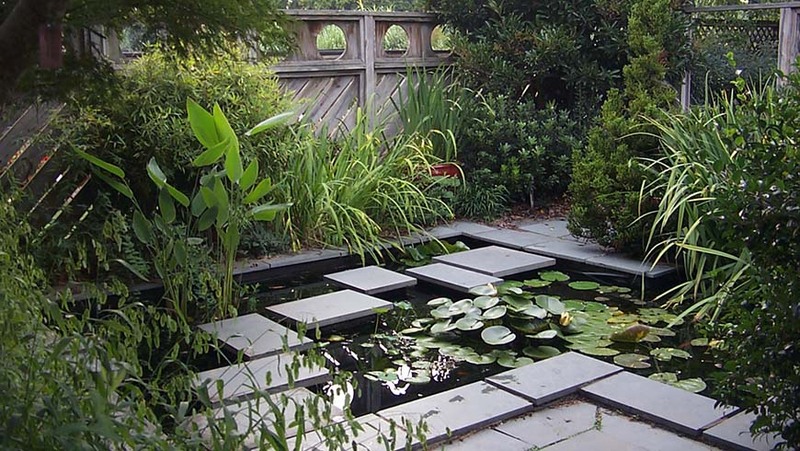 Many of these areas follow a formal design with a particular theme, while others address contemporary issues or display new techniques in landscape design. 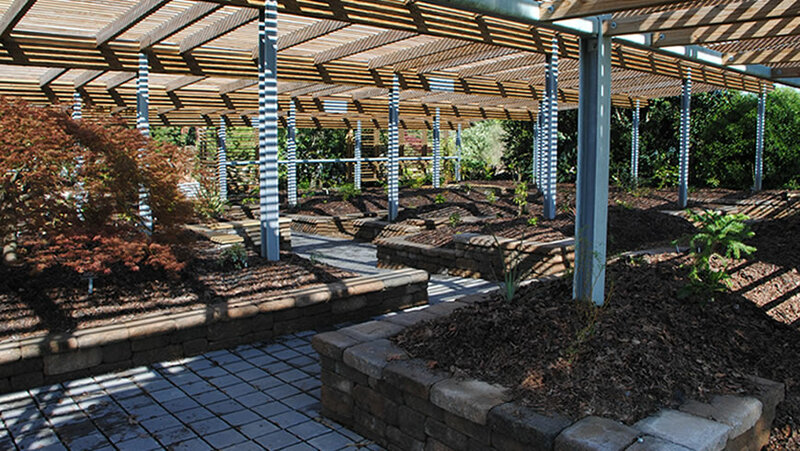 Some of the gardens were designed and built primarily by students in landscape horticulture classes. 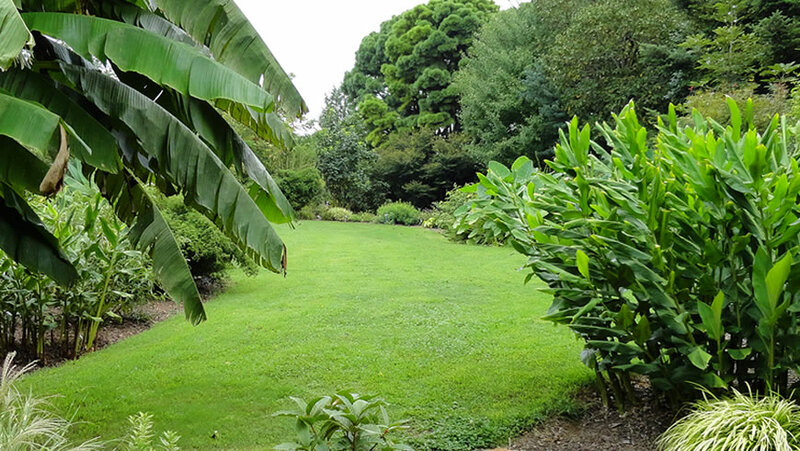 The gardens are maintained by volunteer leaders under the supervision of the JCRA staff. A stroll through the gardens in any season is a rich experience, each one inspiring new ideas that can be directly used in your home gardens and landscapes. Inherent in the JCRA philosophy is change. 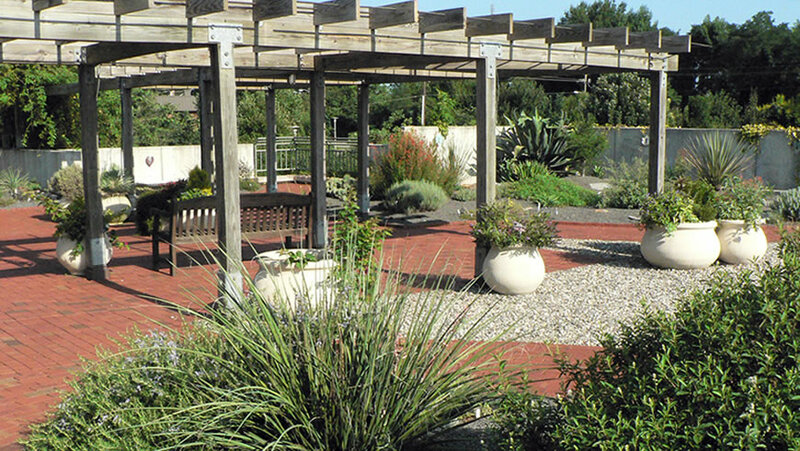 When gardens have outlived their potential or become outdated, they are redesigned into new features. This dynamic nature of the gardens ensures opportunities to educate audiences on current trends and techniques in horticulture. An inspiration for green builders, the energy-saving rooftop terrace is home to nature 's survivors and a favorite gathering space for events. Urban and container gardeners enjoy an array of water-thrifty, heat-tolerant plants, some living in as little as six inches of growing medium. 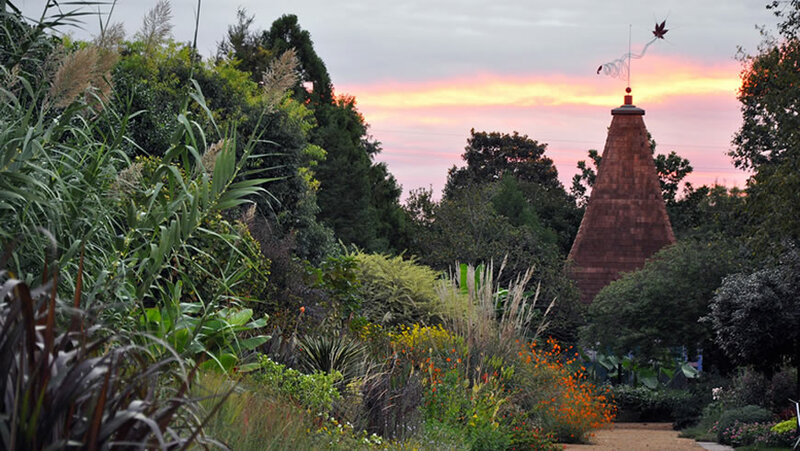 Enjoy a garden of stunning contrasts and soothing combinations while exploring the historic roots of many of our best-loved garden plants. 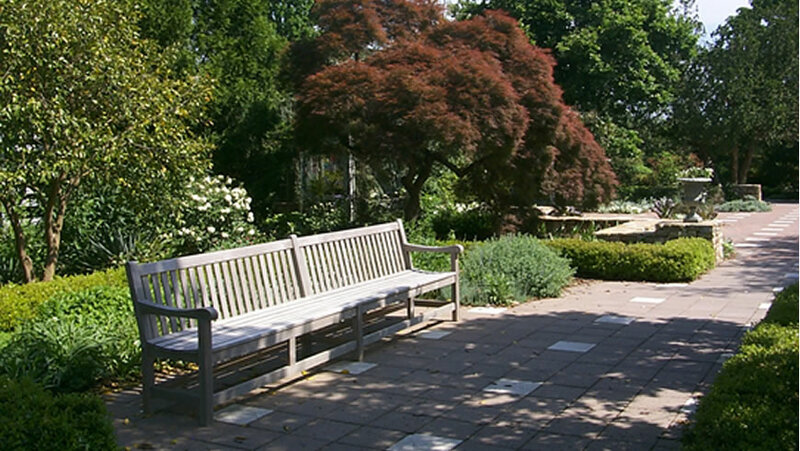 A must for every shade gardener, the garden features Asian trees, evergreen shrubs, and subtropical plants that thrive in our eastern U.S. gardens. Discover the best herbaceous and woody plants for attracting a wide variety of butterflies, moths and skippers. 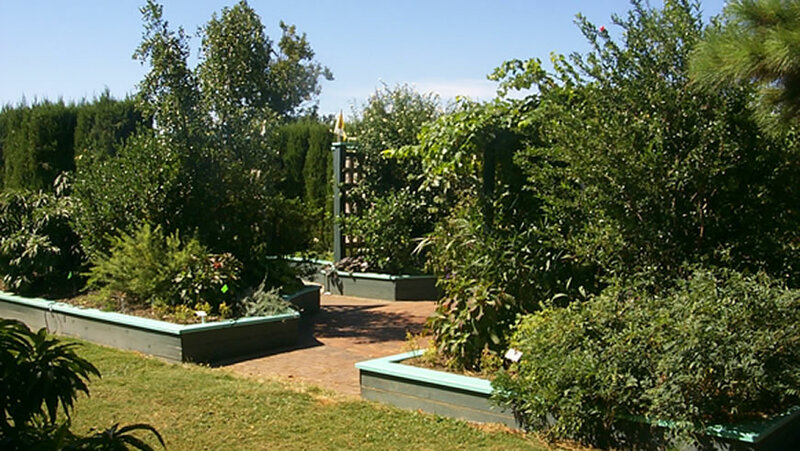 A great example for anyone wanting to expand their gardening beyond plants, The Butterfly Garden is low-maintenance, lively and ecologically sound. A favorite destination for children. See where the best of the best are tested and winners are chosen while enjoying thousands of the newest annuals and tender perennials in flower. The display garden evaluates plants for seed and plug companies around the world and provides the results to homeowners and nurserymen. Relax in this stately, green gathering space. Home to several spectacular trees, including a signature weeping winged elm, the Circle is popular with visitors from picnickers to brides. 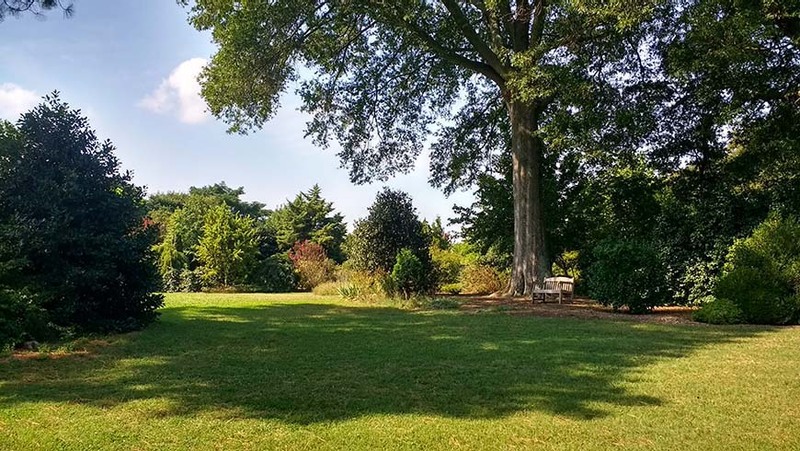 A beautiful venue for outdoor events, it's also very convenient to the Arboretum's whimsical Necessary. Stroll flowing paths or pause on comfortable benches as you immerse yourself in the color and fragrance of the world's favorite flower. The garden showcases hundreds of old and new rose cultivars from antique climbers to miniatures, and is a must for anyone who wants to grow roses at home. Discover hundreds of bulbs, corms, tubers, and rhizomes that will save time, money, and an increasingly scarce resource—water. With their own underground storage organs, geophytes are tough, water-thrifty garden plants that deserve wider use. 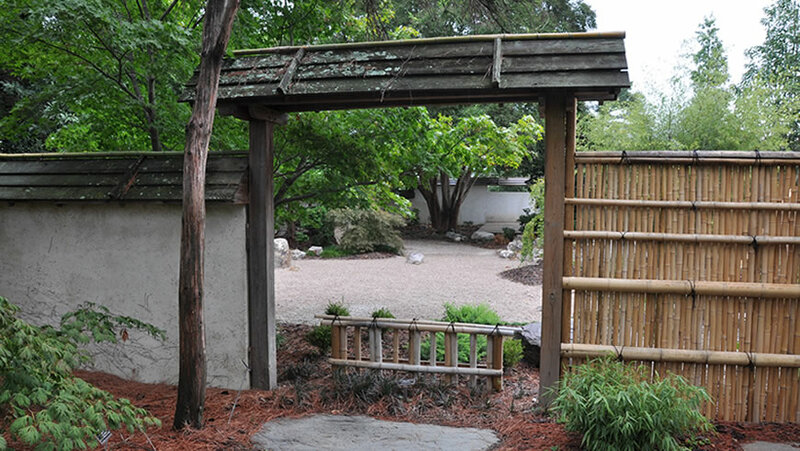 Serene plantings take on deeper meaning in this contemplative Zen garden of raked gravel and hand-crafted wooden and stone features. 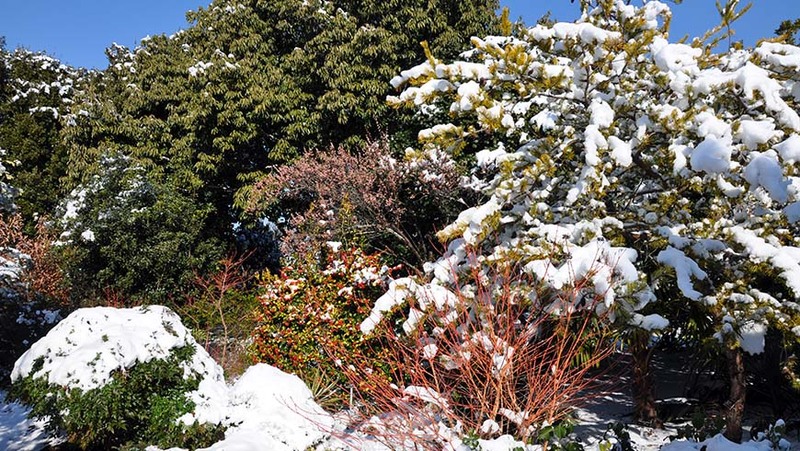 Beautiful in all four seasons, the Japanese garden is a visitors ' favorite and always a moving, memorable experience. Find charming views and elegant photograph opportunities in this southern adaptation of a famous English garden. 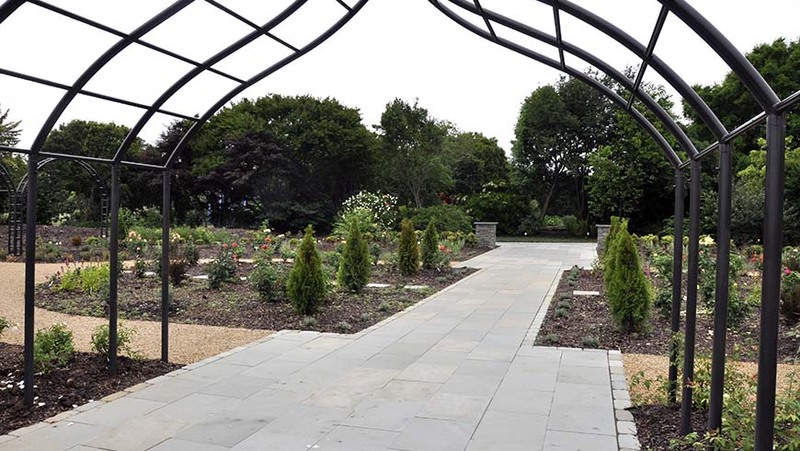 Spacious but private, this large outdoor room features a romantic Victorian gazebo and is a top destination for weddings and other celebrations of all sizes. At its best on hot summer days, the award-winning Lath House showcases many of the South 's most popular plants—those that thrive in cooler shade. 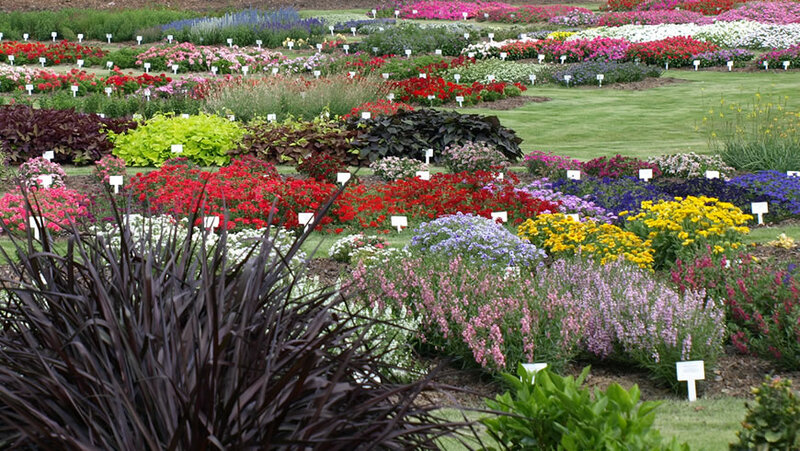 The collection includes more than 700 choice varieties and is a shade-lover 's delight. Bring a camera or notebook—the Mixed Border is designed to inspire home gardeners with ideas and plantings on a residential scale. 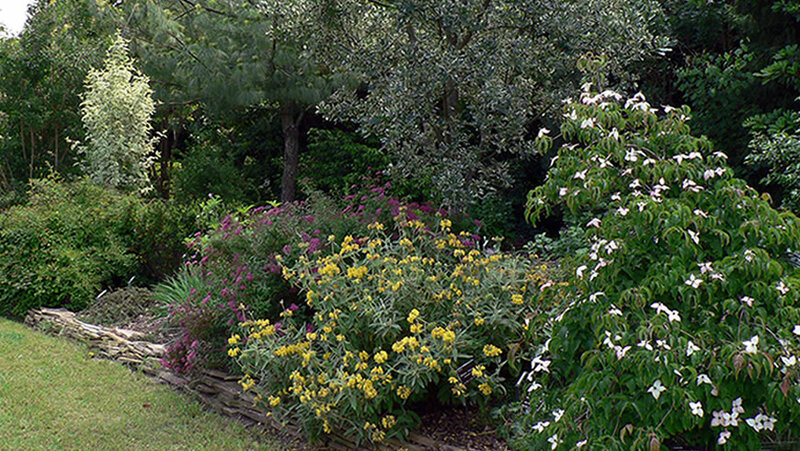 Stroll the path, cross the bridge, and do try these choice combinations of trees, shrubs, and perennials in your own garden. Discover new ideas for landscaping smaller spaces. From raised beds to seating options to plant selection, small is beautiful in these student-designed gardens made for today 's more diminutive yards. With falling water, fragrance, and delightful color, this pleasure garden is designed to stir all the senses. Relax and get away from it all in this modern adaptation of a classical theme. 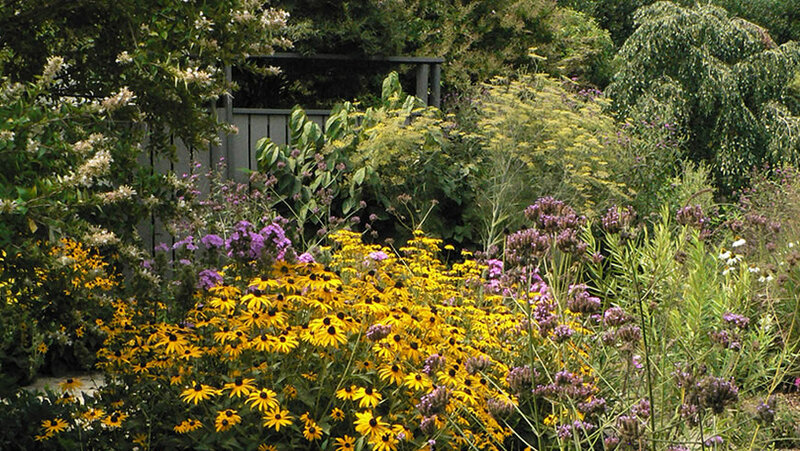 Spectacular in size and scope, the JCRA Perennial Border is 18 feet deep, 300 feet long and contains thousands of perennials, shrubs, and grasses. Enjoy flowers, textures, and a carefully designed progression of color on a grand scale. Discover some of nature 's toughest plants thriving in the extreme conditions of the gravel scree. 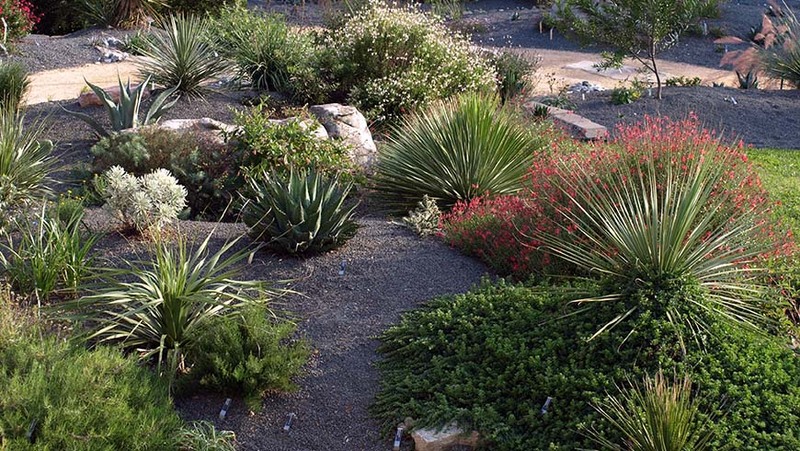 Experience high desert-like summer heat, winter cold, and dry conditions year round that make this micro-climate a garden of super-hardy survivors. A special collection inspired by a beloved NCSU Horticulture professor who inspired a love of plants in so many others. 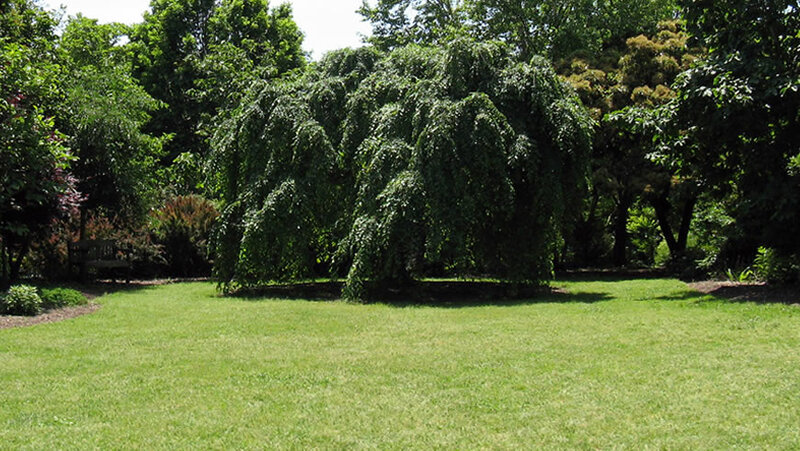 Study, picnic or play surrounded by some of his favorite specimens, including a giant hemlock tree. Experience the pleasures of southern winter gardening with berries, blooms, bark, and fragrance. A garden that extends the gardening season, the Winter Garden is beautiful twelve months of the year, but peaks from October to March. 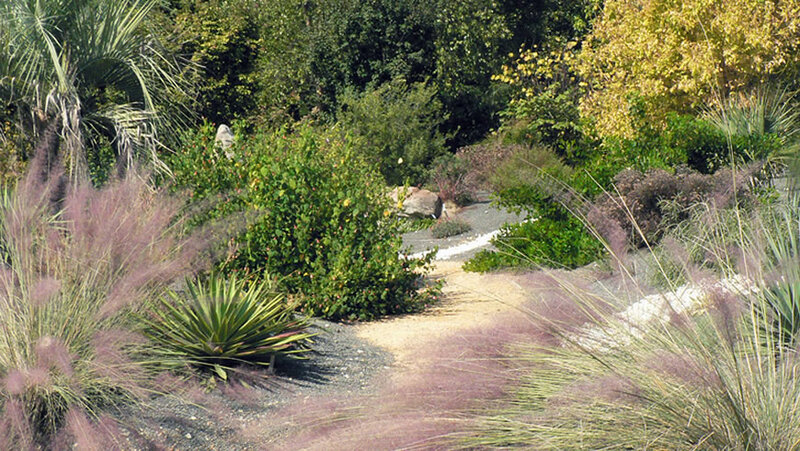 Water-thrifty gardeners will be inspired by the array of plants that adapt to dry conditions. Discover all that you grow with no additional watering while marveling at some of the world 's most adaptable plants.